North Carolina is located on the East Coast of the U.S. Beaches in North Carolina are wide, beautiful Atlantic beaches. There are numerous options for fantastic recreational water excursions. The Cape Hatteras National Seashore, Bald Head Island, Emerald Isle and Wrightsville Beach are sure to be a hit. Cape Hatteras is a barrier island strip with high sandy dunes and perfect swimming conditions. Travel to Bald Head Island by ferry to explore long stretches of beach or visit Emerald Isle located between the Atlantic Ocean and Bogue Sound. Emerald Isle’s beaches give swimmers the option to wade into both ocean and sound water. The Outer Banks in the town of Emerald Isle offers secluded white sandy beaches, warm swimming and deep sea fishing. Scuba divers can rejoice on Wrightsville Beach as over 200 shipwrecks litter the ocean floor. Calabash Beach, Caswell Beach, Holden Beach, Ocean Isle and Sunset Beach makeup a handful of North Carolina’s coastal beaches. 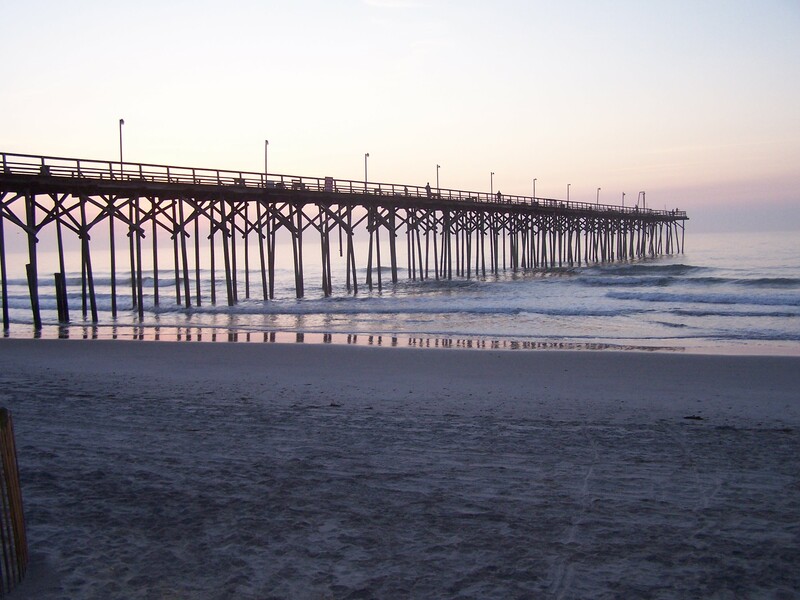 Topsail Island has beaches that face the Atlantic Ocean so wind surfing and cooler waters can be expected. Sea turtle nesting and rehabilitation programs are an important part of local community efforts at conservation. Topsail Island’s unique shape provides beaches on either side of the island, allowing swimmers to watch both the rising and setting sun. Ocracoke Island is only accessible by ferry, but is home to the iconic lighthouses of North Carolina and rolling white sandy beaches.